At Scottsdale Golf, we like to pride ourselves on offering golfers from all across the world the biggest selection of custom fit options in their new golf equipment. We offer the standard options from each manufacturer, with the standard specification setup. New golf clubs can very easily be built to suit your individual game. Simply choose your options from the drop-down menus on this product page and the manufacturer will build the golf clubs for you to the exact specification. 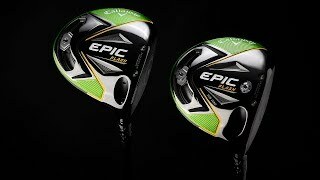 What can be changed on my new clubs? What does Custom Fitting cost? In many cases, there is no charge. Some manufacturers charge an upcharge for certain shafts or grips but there are many options that don't cost a penny more than the standard set. Do Custom Fit Clubs take longer to be delivered? Yes. As the golf clubs will be built by the manufacturer specifically for you, they may take up to 10-14 working days to be delivered, depending on the brand. Many are far quicker than this and most aim to get your new golf clubs built in 7 working days. As soon as we receive them, we will send them on a next day delivery service and email you to let you know they are on the way. Of course. If you need any advice on custom fit options, please call or email our Golf Professionals. We have people here who are trained in exactly this area so they can talk you through a different shaft of grip. Whatever you need, we are here to help. You can reach us on 0161 969 4644 or at pro@scottsdalegolf.co.uk.